such systems. Volume 1 examines the business and regulatory context that makes risk information so important. 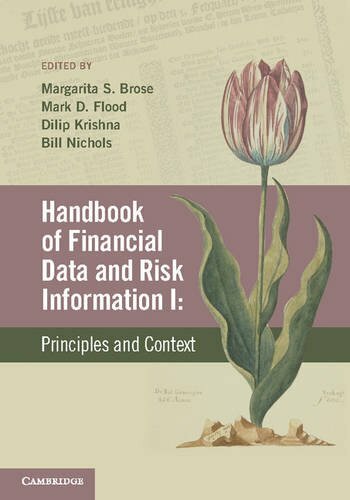 Volume 2 describes a structural and operational framework for managing a financial risk data repository. company's financials. She is currently employed by Barclays, where she was formerly an operational risk manager. Her most recent publication, focusing on the financial collapse in 2008, is entitled 'Toxic Assets: Untangling the Web' (BYU International Law and Management Review, Winter 2009, with Bill Nichols). Expertise in the Americas, responsible for working with many large financial institutions across the US and Canada implementing Basel II and Risk management solutions. In this role he was also active with Teradata's Government Services team helping to articulate the role of analytics in regulation and transparency, including being called upon to offer expert testimony to the United States Congress. He has served as chief architect for Basel II at a major Canadian bank, and has implemented front-offices trading solutions in Canadian capital markets operations. Dilip is widely published in the area of risk information and risk architecture.